We are receiving reports that our WEB players spinning in the Glam Girls room aren't having an option to play in the bonus game after getting three bonus icons on the reels. We apologize for any confusion. Please know that it is not an issue, it's by game design. The bonus icons should fall on these pay lines to trigger the bonus game (please see screenshot below). 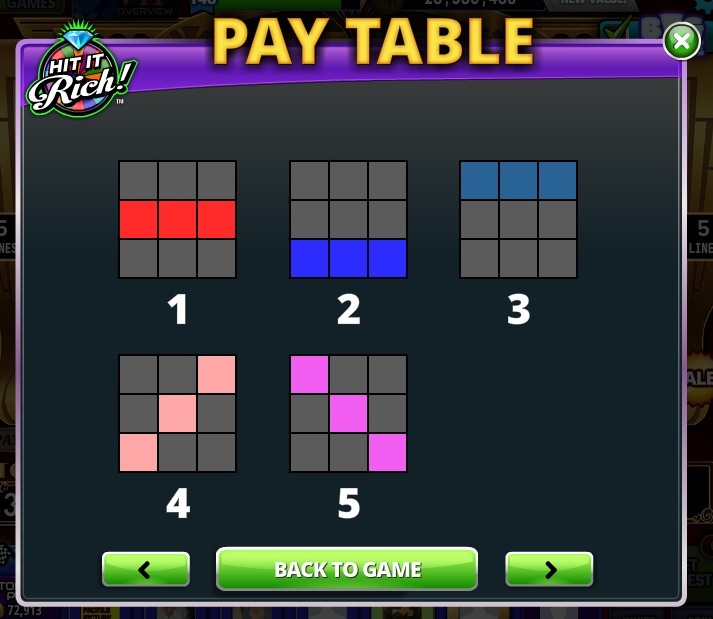 Good luck on your spins and thank you for your patience and continued support for Hit It Rich!